Vietnam is a country in Southeast Asia, located on the Indochinese Peninsula. It is an agrarian country with developing industry. The government plays a main role in its economy, having created a five-year plan to develop it. The market share is small: primarily small businesses. At the start of the 21st century, agriculture was still the main industry in Vietnam’s economy, providing the country with food supply security.  Its main branches of industry are: food, consumer goods, automobiles, mining, cement and oil. The manufacturing of chemical fertilizer and other products is also developed in Vietnam. As of 2014, Vietnam’s main exports were textiles (24.5 billion USD), mobile phones and parts for them (24.1 billion USD), computers and electronics (11.6 billion USD), footwear (9.7 billion USD), marine products (7.9 billion USD), bags and suitcases (2.1 billion USD), plastic products (1.9 billion USD). The country’s name (越南) consists of two words. Việt refers to the dominant ethnic group, the viets, and Nam means ‘south’. This means that the country’s name can be translated as ‘southern viets’. This is a calque with the Chinese ‘Yue-Nan’, where ‘yue’ is a Chinese word for the viets, and ‘nan’ means south. Market revenue in 2016 amounted to 148 million USD (136 million USD according to NewZoo). This revenue is expected to grow by 7.7% every year, reaching 200 million USD in 2021. In 2016, 22.5% of residents used mobile platforms, and this is expected to grow to 41.9% by 2021. 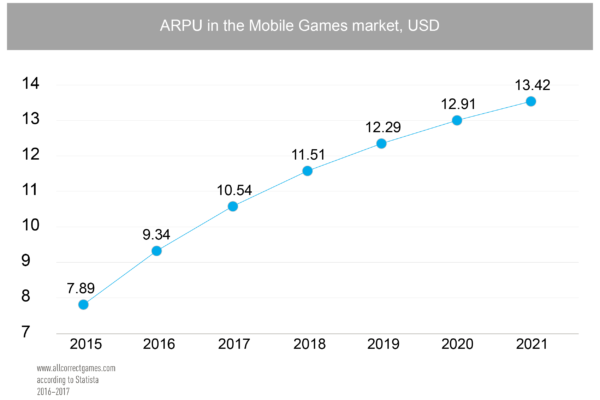 Average revenue per user (ARPU) is USD 10.54. Average CPI in the country: for iOS – USD 0.52, for Android – USD 0.5. 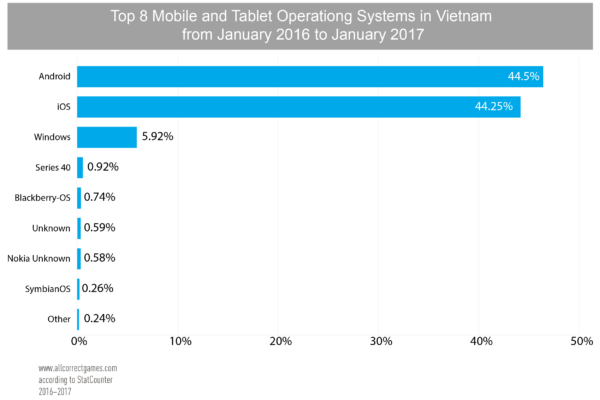 The Android operating system has slight superiority in Vietnam on mobile platforms (Android — 46.5%, iOS — 44.25%). The dominant social network is Facebook and the dominant search engine is Google. 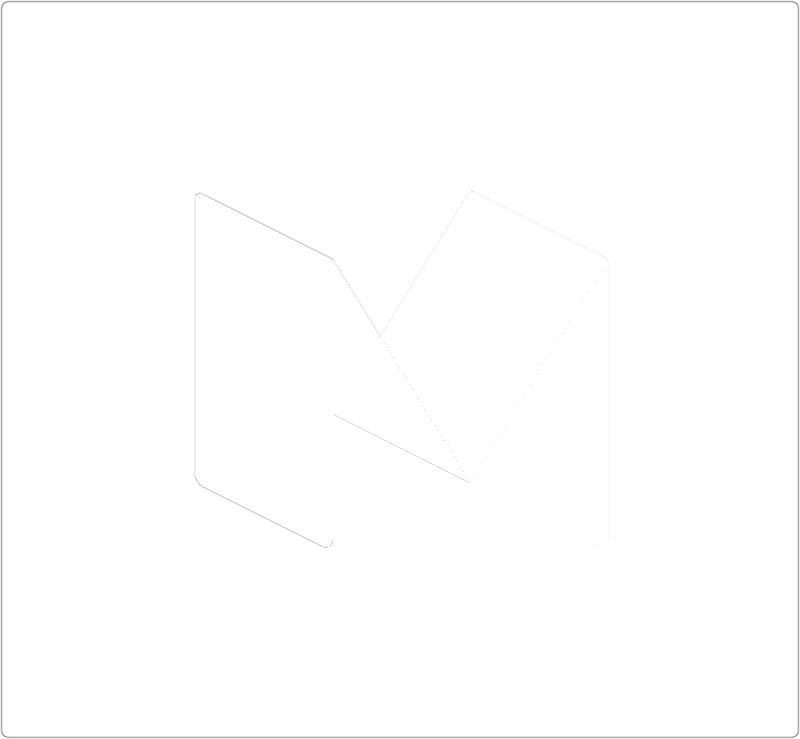 The Zalo and Facebook Messenger services are popular. The most popular mobile devices (according to StatCounter) are released by Apple (44.25%) and Samsung (18.85%). 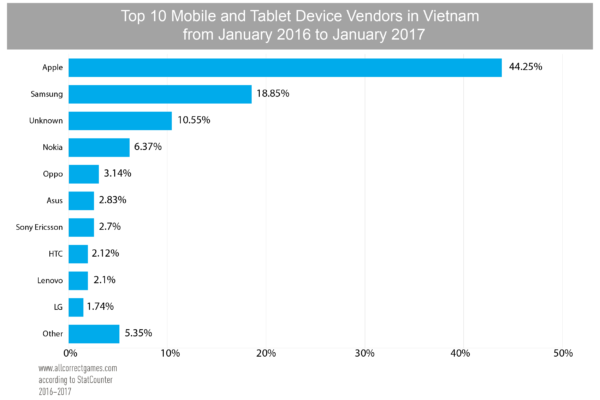 Who plays mobile games in Vietnam? 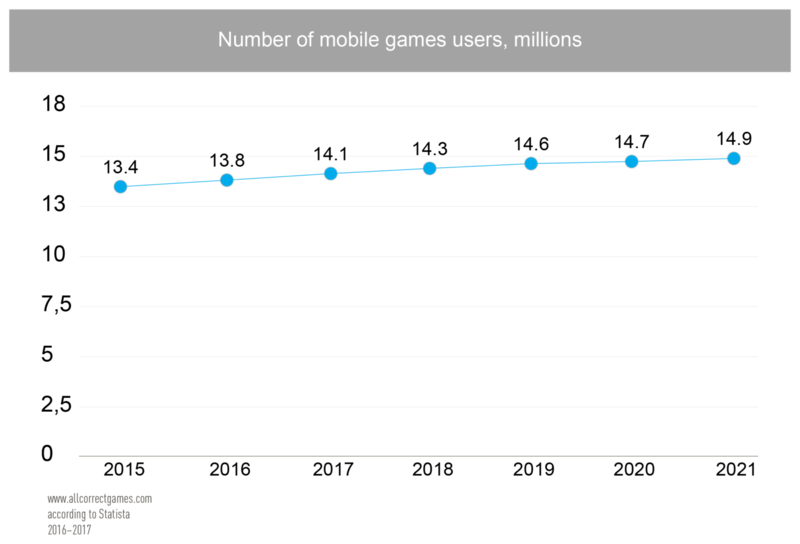 Mobile gamers in Vietnam have 2.5 gaming sessions per day, on average. Each day, on average, they play for three hours—especially in the evening, from 8pm-11pm. RPGs are the most popular (and profitable) genre, and there are 35 major RPG titles available in Vietnam. 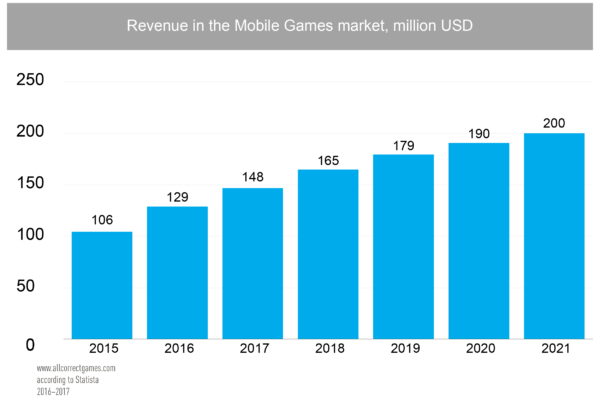 For MMORPG games, the ARPU is USD 10, and users have a particularly high retention rate. For foreign developers looking to succeed in the Vietnamese mobile game market, a little foreign know-how is essential. Vietnamese gamers place an unusually high value on beauty in the UI. Games like Chien Binh, for example—a Vietnamese MOBA game that reached 300,000 users in its first two months—have international-standard graphics and elegant user interfaces. Especially in the RPG genre, Vietnamese users are accustomed to games that show a clear Chinese influence. Like gamers in China, players in Vietnam prefer games related to the Three Kingdoms, Kung Fu, and the novels of Jin Yong. Chinese studios developed many of the most popular massive multiplayer online (MMO) and player vs player (PvP) games in Vietnam. 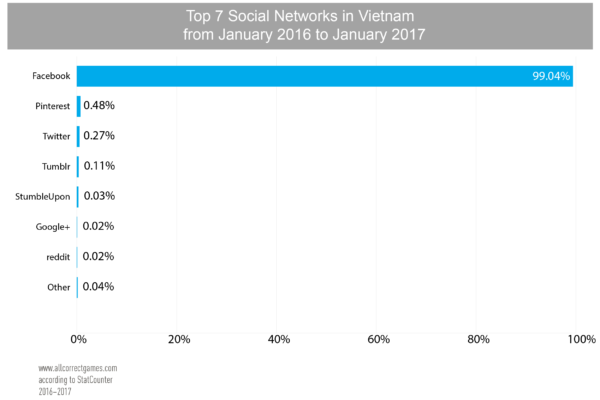 For foreign developers, the safest best is probably the casual 3D MMORPG, which tends to be an easy fit with the Vietnamese market. It’s also worth noting the legendary developer of Flappy Bird, Dong Nyugen and his studio .GEARS. Yes, the Vietnamese market has plenty of potential for growth, but it isn’t easy for foreign developers to enter. Publishers have to get a special license since this country has strict laws in place that control the online games market. 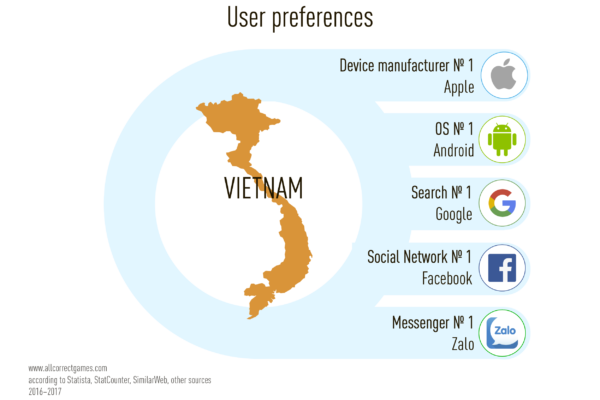 The policy of paying for mobile connection services in Vietnam is one of the barriers that prevent mobile app penetration on the market. 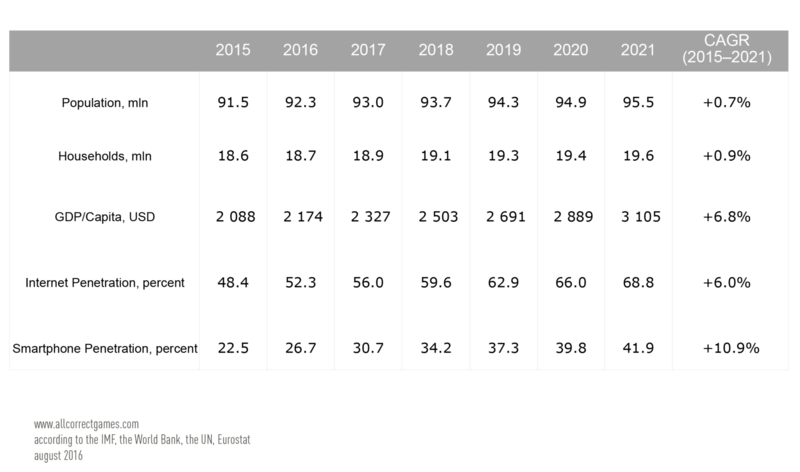 Over 80% of mobile connection services are paid through third-party organizations. It’s also obvious that players prefer to play games in their native language. Very few Vietnamese people speak English. 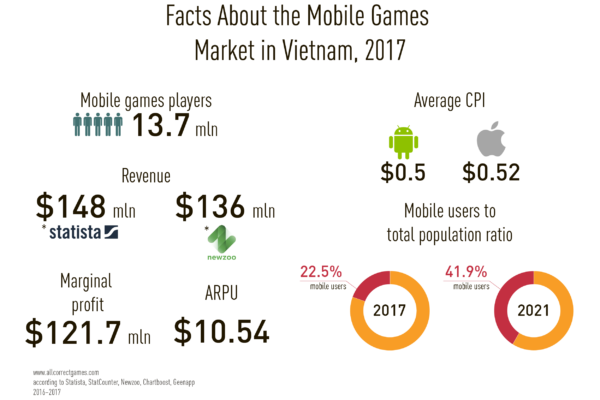 This means that foreign developers should prepare in advance for the eventuality that it is difficult to promote their games in a market where every niche is already occupied by products in the Vietnamese language. Vietnamese is certainly a gold mine for western video game creators, but without localization, they won’t go far. The Vietnamese language is the language of the viets and the official language of Vietnam, with lingua franca status in communication and education within the country. 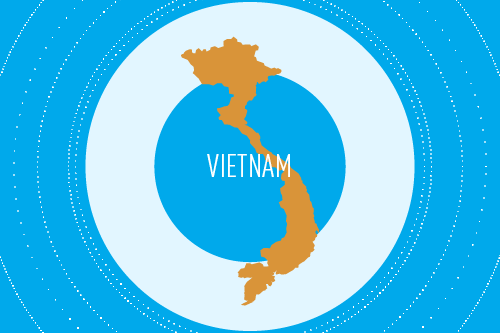 It became Vietnam’s official language in 1954, when the country gained independence from France. The Vietnamese language has roughly 82 million native speakers, primarily in Vietnam. In addition, people who speak Vietnamese can be found in the USA, China, Cambodia, France, Australia, Laos, Canada and other countries.